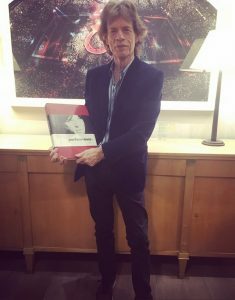 In case you didn’t know, Rolling Stones frontman Sir Mick Jagger was forced to cancel their tour this year after he learned he needed a heart valve replacement surgery. The 75-year-old music legend sent his thanks to his fans for their support, as well as to the hospital staff who did a “superb job” taking care of him. 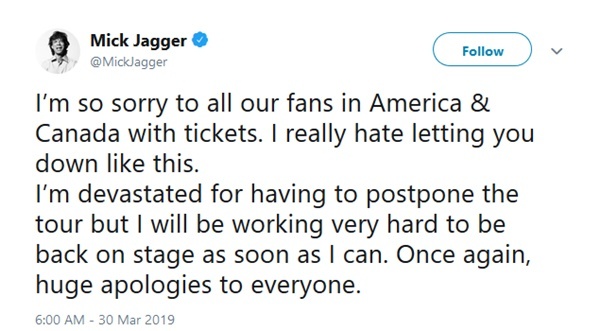 On March 30th Mick Jagger regretfully announced that the Rolling Stones ‘No Filter Tour’ North American and Canada tour was cancelled due to his health. Fast forward to now, Jagger is on the mend and recovering from his heart valve replacement surgery. Mick’s representative has also confirmed he’s ”expected to make a full recovery’‘ following the surgery. 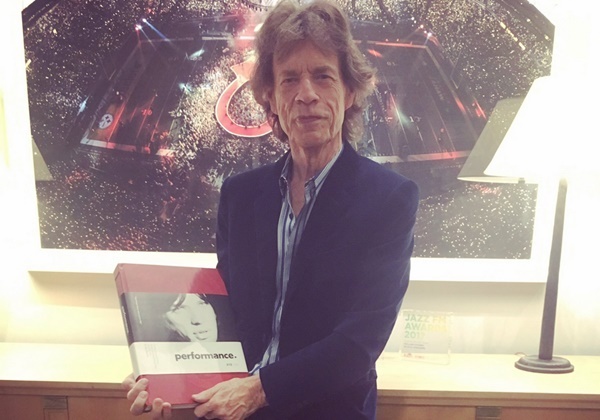 Mick Jagger has successfully undergone treatment. He is doing very well and is expected to make a full recovery. Sources recently said that Mick will need to rest for four to five days to allow the artery to heal without bleeding issues, following the transcatheter aortic valve replacement (TAVR) procedure. The Rolling Stones North American ‘No Filter Tour’ is now expected to begin in July.